Import downloaded project into eclipse. 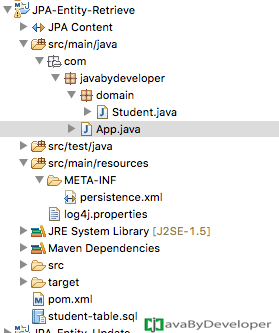 If you are new to maven follow Import existing maven project into eclipse. Imported project structure looks like below screen. It is an XML file that contains information about the project and configuration details used by Maven to build the project. We will define required jars or wars or libraries as dependencies. Below is the pom.xml looks like. All the required JPA and Hibernate dependencies will be defined here. Right click on project –> select “maven” –> select “Update Project”. Follow below screen. Select “Force Update…” check box –> click “OK”. This will update all dependencies to the project. 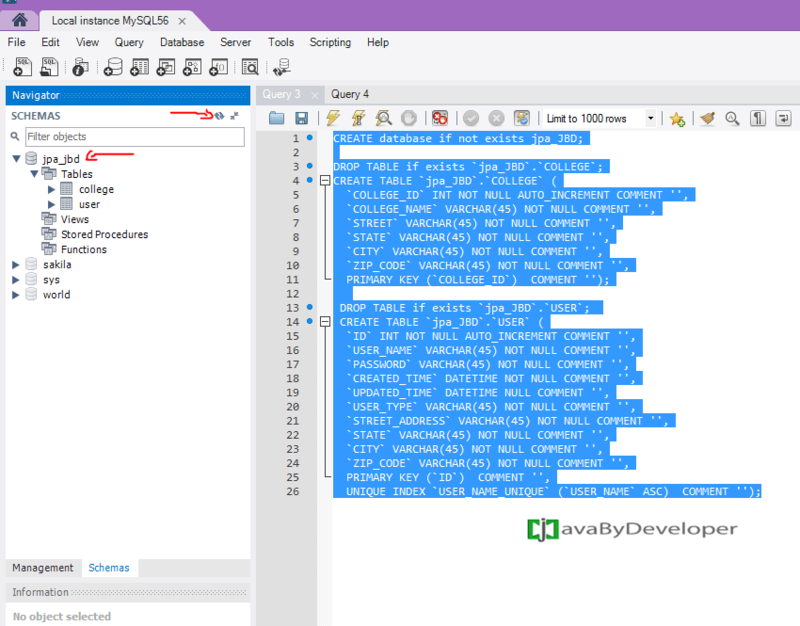 Every download of sample application includes sql file also. Copy provided sql script and execute using MySql workbench. Follow below screen. Paste sql code in the editor –> select part of script or whole script that you want to execute –> issue command CTRL+SHIFT+ENTER (in windows, CMD+SHIFT+ENTER in Mac). Every sample application includes persistence.xml inside META-INF directory. JPA uses the persistence.xml file to create the connection and setup the required environment. Provides information which is necessary for making database connections. Persistence units are defined by the persistence.xml configuration file. A persistence unit defines a set of all entity classes that are managed by EntityManager instances in an application. All the entities are available under “domain” source directory. You will find App.java, use that class to run the test.